Do you struggle with weight loss? Perhaps you have tried various diets only to experience initial weight loss followed by plateaus and relapse. If this sounds familiar, you are not alone. Millions of Americans struggle with overeating or other unhealthy patterns of behavior. 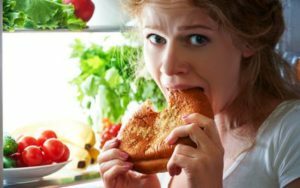 While we often blame ourselves for "not being disciplined enough" to stick with our diet, biology may be working against us. The truth is, evolution and biology encourages and even rewards us for eating.